Siemens PLM Software has released the first maintenance pack of PLM NX 12 software, is a major release with significant new functionality in all areas of the product. 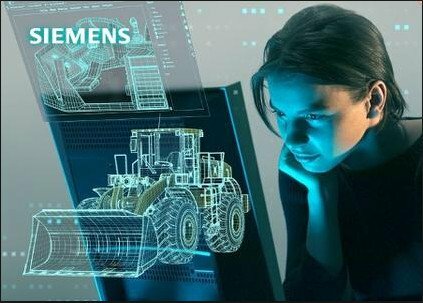 With the release of NX 12, Siemens PLM is still finding areas for innovation to enhance an already breathtakingly mature system. The latest version of Siemens NX software (NX 12) delivers the next big breakthrough in digital product development with Convergent Modeling, a brand new modeling paradigm which greatly simplifies the ability to work with geometry consisting of a combination of facets, surfaces and solids, without the need for time-consuming data conversion. Convergent Modeling, the first technology of its kind, will help engineers optimize part design for 3D printing, speed up the overall design process and make reverse engineering a far more common and efficient practice in product design. In addition, NX 11 includes multiple enhancements throughout the integrated computer-aided design, manufacturing and engineering (CAD/CAM/CAE) solution, such as next generation 3D CAE, powered by the newly announcedSimcenter 3D software, and improved CAM productivity with tools like robotics machining and hybrid additive manufacturing to help improve productivity.